1959, in a small, intimate bar in Philadelphia, Holiday puts on a show that unbeknownst to the audience, will leave them witnesses to one of the last performances of her lifetime. 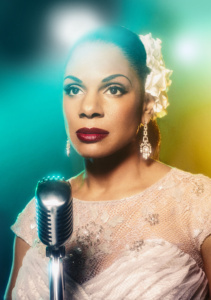 Through her poignant voice and moving songs, one of the greatest jazz singers of all-time shares her loves and her losses. 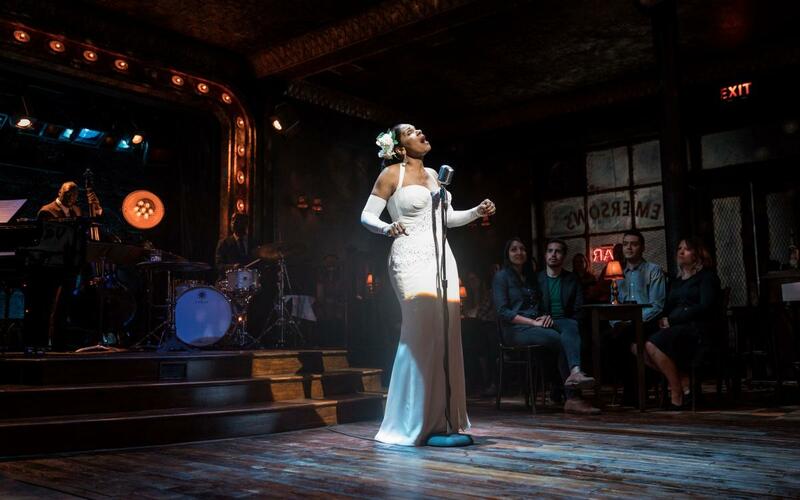 Take a look at the brand new West End production photography of Audra McDonald in Lady Day at Emerson’s Bar & Grill which has not started preview performances at London’s Wyndham’s Theatre. The Tony, Grammy, and Emmy Award-winning singer and actress, will be making her long awaited West End debut portraying jazz legend Billie Holiday in a performance that won her a record-setting sixth Tony Award. 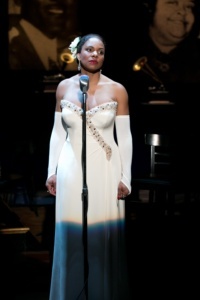 This critically acclaimed production broke box office records at the Circle in the Square in New York. 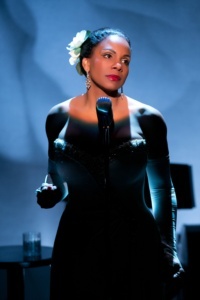 Lady Day at Emerson’s Bar & Grill won two Tony Awards in 2014 including ‘Best Performance by a Leading Actress in a Play’ for Audra McDonald, making her Broadway’s most decorated performer, winner of six Tony Awards and the first and only person to receive awards in all four acting categories. 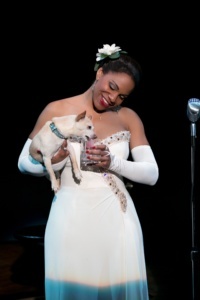 After the joyous news of Audra McDonald’s unexpected pregnancy last year, producers of the postponed London run of Lady Day at Emerson’s Bar & Grill are delighted to announce that this summer, McDonald, the Tony, Grammy, and Emmy Award-winning singer and actress, will be making her long awaited West End debut portraying jazz legend Billie Holiday in a performance that won her a record-setting sixth Tony Award. This critically acclaimed production, which broke box office records at the Circle in the Square in New York, will run for a limited engagement at Wyndham’s Theatre from Saturday 17 June to Saturday 9 September, with opening night for press on Tuesday 27 June 2017. 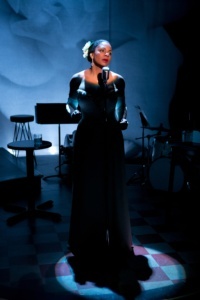 Billie ‘Lady Day’ Holiday had what is widely considered one of the greatest jazz voices of all-time. Born Eleanora Fagan in April 1915, she rose to popularity in the 1930’s and 1940’s with her pioneering vocal style strongly inspired by jazz instrumentalists. After a turbulent personal life and struggle with addiction, she died at the untimely age of 44. In 2000, Holiday was inducted into the Rock and Roll Hall of Fame. 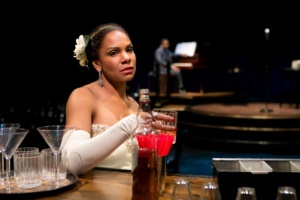 Prior to making her West End debut in Lady Day at Emerson’s Bar & Grill this summer, Audra McDonald will travel to London to perform four concerts at the Leicester Square Theatre hosted by Seth Rudetsky and featuring special guest Will Swenson from 12 to 15 April.